Upgrade your lens or camera? It is a costly exercise just to buy a nice camera and lens combination in the first place. Apart from deciding which camera to buy and which kit lens combination to purchase at the same time, there is always the thought at the back of the brain that one day, your going to upgrade the very thing you are purchasing right now. If money wasn’t a problem, you could simply buy the best camera and the best lens combination for that camera model and, voila, problem solved. Unfortunately most of us live in the real world so must go through the steps of buying an entry level camera with a kit lens combination, then upgrading as you become more adept at the craft of photography, yet only when our finances say we can. When should you upgrade your kit lens? There will come a time, as your experience grows, where you won’t be satisfied with the quality of your shots. You will crave for a little more sharpness and crispness to your photos. No matter how good that kit lens is performing with your camera body, you will feel you want to take the next step upward and that usually means upgrading your kit lens first. I would counsel not to rush into it, yet it will be instinctive. You will know when the time comes and you will find the money to purchase that lens upgrade. There will be a few indicators that will push your decision to upgrade. While it’s true that any camera will take a good photo and the best camera is the one you have with you at the time, lens upgrades will lift the overall image quality. 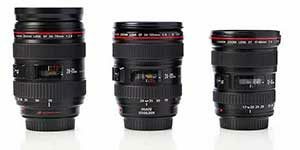 We strongly believe that you should always upgrade your selection of lens before you upgrade the camera body. We think this for several reasons. The overall quality of your images will be really rewarding and the occasional use of a lower aperture number will make you more artistic, competent and creative. Top quality lenses never lose money. 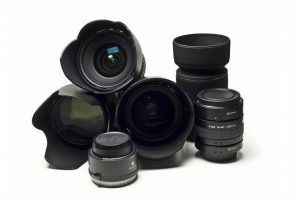 Camera bodies are always being upgraded by the manufacturers where lenses may get an upgrade every five years or more. If you upgrade the body first you may not see any noticeable improvement in image quality and it could be another year or so until you can afford a top lens. Generally, when upgrading a lens look for the lowest aperture number. Buy a F/2.8 lens or lower. My advice is to purchase a F/2.8 – 50mm lens first. (Nifty Fifty) These are very affordable and they will show you perfectly what a lower aperture, higher quality lens can do for your photography. Use your gut feeling. Upgrade your kit lens when you believe it’s time. Sign-up for our online photography course Learn how to master your digital camera in easy to understand “at your own pace” lessons.